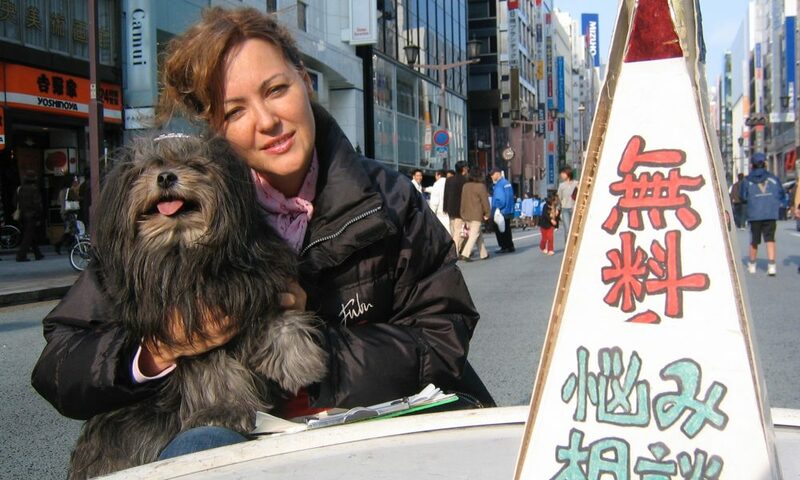 On weekends, when Ginza’s main shopping street, Chuo dori is closed to cars, and becomes a hokoten or pedestrian walking street, Judit has been doing free counseling, listening to the troubles of people and their furry friends. 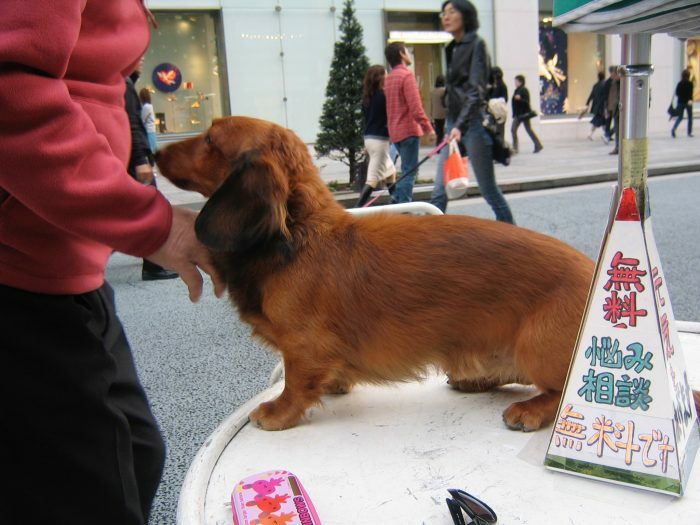 During her many years on the streets of Ginza hokoten, she listened to the troubles of over 2000 people & many dogs. 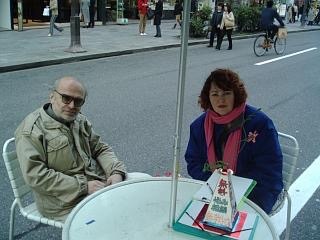 Judit Kawaguchi in Tokyo’s Ginza district doing her weekly free counseling service. “Come unload your troubles,” reads the tiny cardboard sign in Japanese. “Will listen. 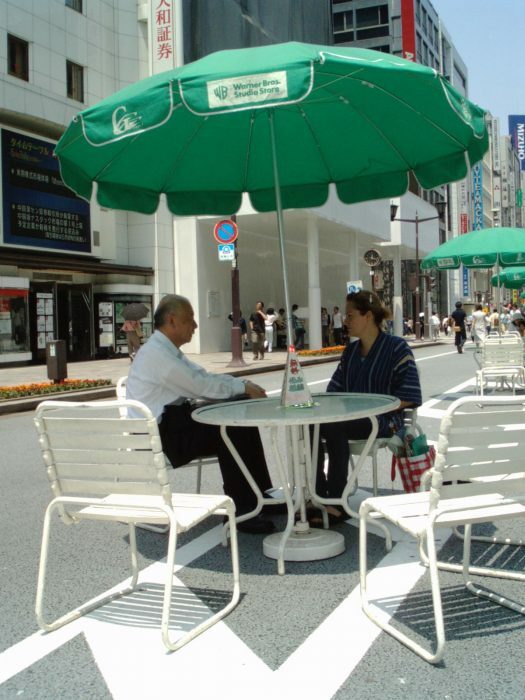 No charge.” And here in the middle of Tokyo’s busy Ginza shopping district, people actually sit and talk. 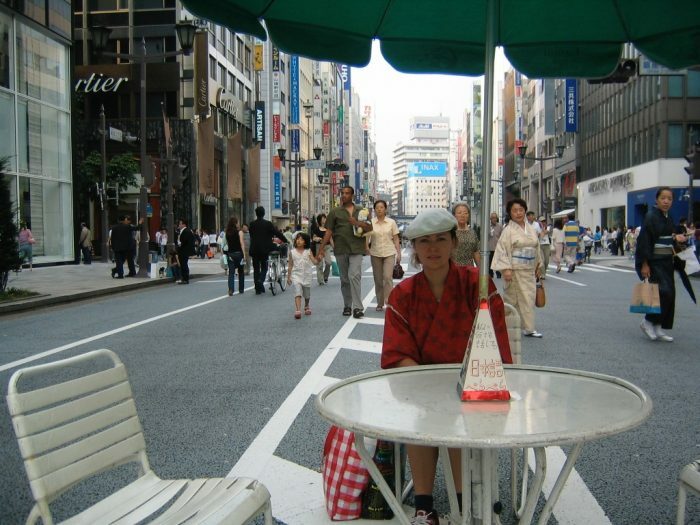 Judit Kawaguchi at Ginza hokoten comforting a pooch in trouble. 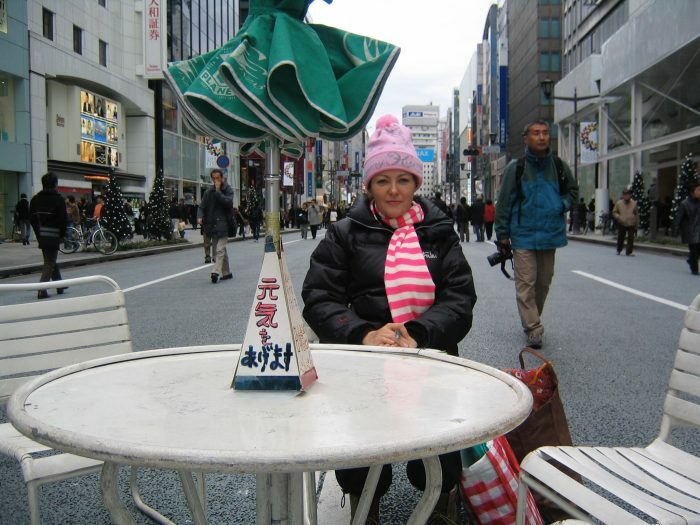 Rain or shine, Judit Kawaguchi sat in Ginza’s hokoten on Saturdays and Sundays, waiting for her clients to arrive. This cute dog and her human visited Judit Kawaguchi a few times. Lots of troubles unloaded.